Located less than five minuntes walk from the Mailbox and the Cube, Pad Thai Restaurant and Karaoke Bar Birmingham is a unique place. It offers an entire evening's entertainment where you can eat, drink and sing all in one place. Thailand is famous for its friendliness, culture, natural beauty, and of course, its' cuisine. We take our name from the classic noodle dish 'Pad Thai', and with handcarved decorations from Thailand, incorporated the design of a traditional Thai home, a 'Chai Ka', literally meaning warmth, comfort and happiness. We cater for groups from 4 to 30 people with private karaoke rooms, and a bookable lounge and dining area. Food is served from 5.30pm to 11.00pm, with a snack menu available until 2.30am. Our lounge and karaoke rooms are ideal for work functions, hen nights, birthday parties - and all other special occasions. Please contact us for more information. "Friendly staff and delicious food. High recommend." "Fantastic service as soon as they opened the doors, accommodating 13 people, great food prepared really quickly,"
"Fantastic night out if you enjoy excellent food and karaoke." "Went there because late night food available. 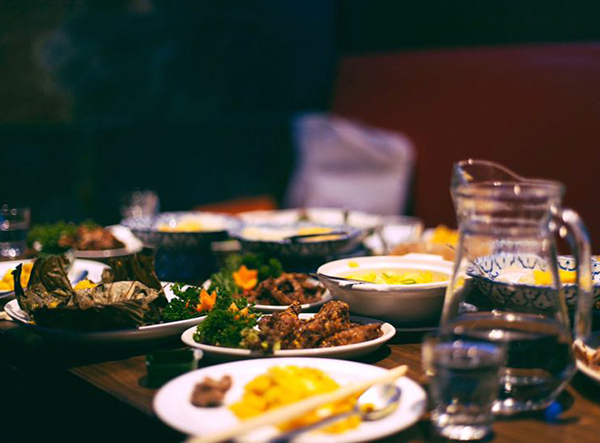 Quality Chinese dishes with a lot others to choose from, recommended." "Best Thai food and entertainment place to go!!!!!! The food was great... The staff here are lovely, super efficient and hospitable. strongly recommend ..."
"First time there and the feeling was so great especially when the karaoke started! Foods were lovely. Great place for a group night out! Highly recommended!" Pad Thai Restaurant and Karaoke Bar is located opposite the HNDRX boutique club on Holloway Head, Birmingham, less than five minutes walk away from the Mailbox and the Cube. From the M6, take the A38 towards the City Centre. Exit left after the second tunnel. Turn right at the roundabout onto Holloway Head. © Copyright markups.io. All rights reserved. Modified by CSchneiderUK for Pad Thai.